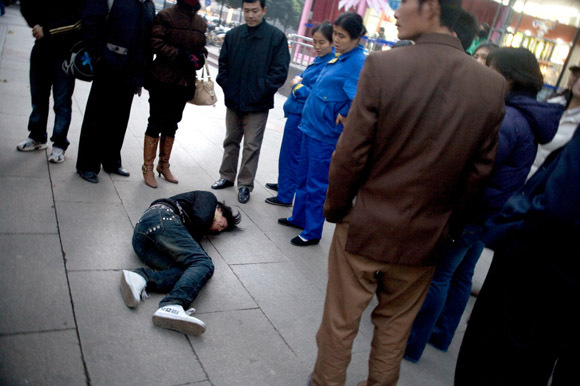 I’m excited to announce that from August 20 to September 18, 2011, my essay China Everbright will be projected at the 2011 Ballarat International Foto Bienalle in Ballarat, Australia. The slideshows will be shown continuously for the duration of the festival at the Art Gallery of Ballarat at 40 Lydiard Street in Ballarat, Victoria, Australia. China Everbright has been shown previously at the 2011 New York Photo Festival Slideluck Potshow and the 2010 Jue Art and Music Festival in Shanghai and Beijing. My gratitude goes out to Rebecca and Ginta, curators of Melbourne’s wonderful public art organization Strip Billboard, who helped put me in touch with the Ballarat festival. Thanks also to Ross at the festival for getting me into the schedule of projections.